SSL, a Maxar Technologies company (NYSE: MAXR) (TSX: MAXR), congratulates NASA on the successful touchdown of the agency's InSight Lander on Mars following the craft's six-month interplanetary voyage from California. NASA’s InSight Lander has begun operations on Mars with an SSL-built robotic arm. Image is courtesy of NASA. InSight, which stands for Interior Exploration using Seismic Investigations, Geodesy and Heat Transport, will collect seismic, rotational, and thermal measurements to determine the present level of tectonic activity on Mars. Data of this sort is critical to understanding the processes that formed the rocky planets of the inner solar system approximately 4.5 billion years ago. The SSL-built Instrument Deployment Arm is a lightweight, four-degree-of-freedom, two-meter class robotic arm, with joints at the shoulder, elbow, and wrist. It has the mission-critical job of placing the lander’s sensitive instruments onto the dusty Martian surface, a process that future landers are expected to repeat when offloading payloads onto the surface of the Moon. 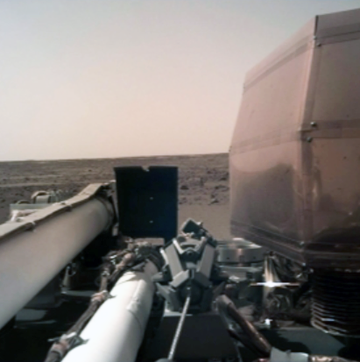 The lander’s instruments include a seismometer capable of detecting Marsquakes and a heat flow probe that will burrow as deep as 16 feet into the ground. Richard White, the President of SSL Government Systems, stated that SSL is committed to providing innovative space systems that build a better world and advance humankind’s understanding of the universe. 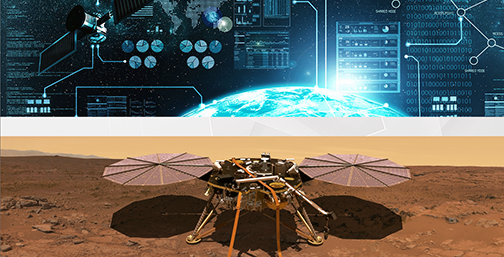 SSL has a long and successful history as a trusted supplier to NASA and JPL, and we’re delighted that the SSL-built robotic arm on InSight is beginning operations.